Those who know me well know my love for lemons. I’ve grown a few lemon trees from seed, I make my own limoncello, and anytime I incorporate the bright, citrusy flavor into food or drink, I’m reminded of its amazing power. 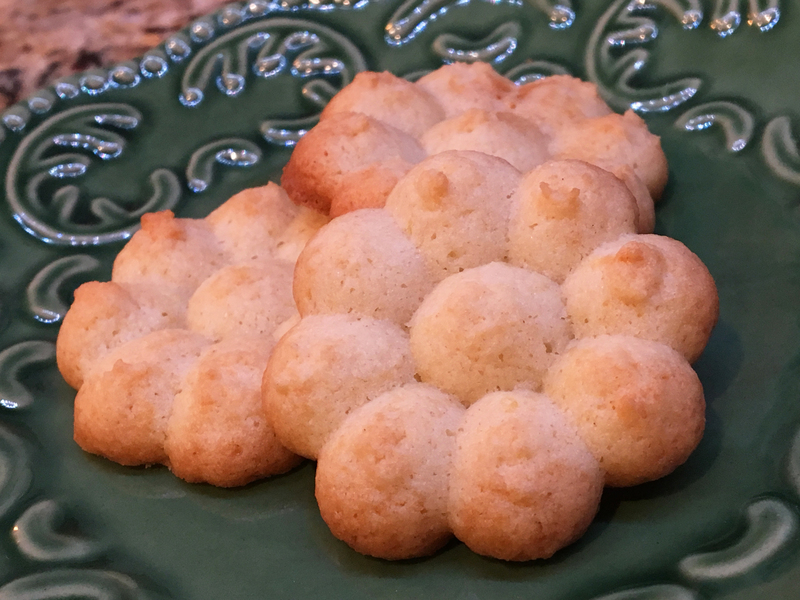 After mastering the simple art of the drop cookie, I was ready to raise the bar by trying my hand with my cookie press, which I recently discovered due to this cheese straws recipe. My Mom “Betty” had a metal cookie press that I remember well, but where do pressed cookies come from? I wasn’t too surprised to learn they originate from Germany… all the way back to the 16th century. 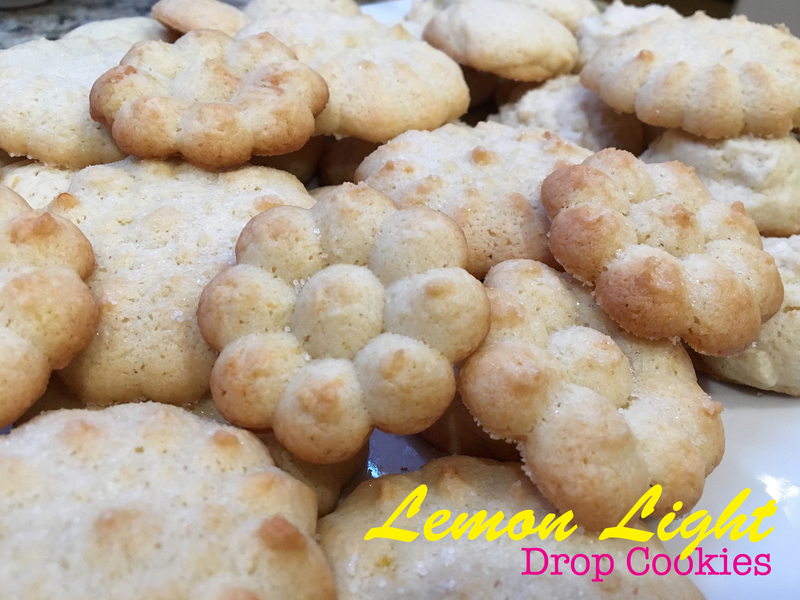 Spritzgebäck or “Spritz” cookies are pressed butter cookies that are made by squirting dough through disks that make a variety of cool-shaped cookies. The cookie press is like a baker’s version of everyone’s favorite childhood toy – Play-Doh! Hungry for more cookie history? You can learn a lot of interesting facts about the origins of cookies at this website. ❤ If using self-rising flour, decrease the soda to ¼ teaspoon and omit the baking powder and salt. ❤ The original recipe (below) makes about 70 2 ½” cookies. That’s right, 70! Since we weren’t having a party I decided to cut the recipe in half, which still yielded over 30 cookies. ❤ For the second half of my dough I experimented with my cookie press and was able to churn out some fun-shaped cookies*. 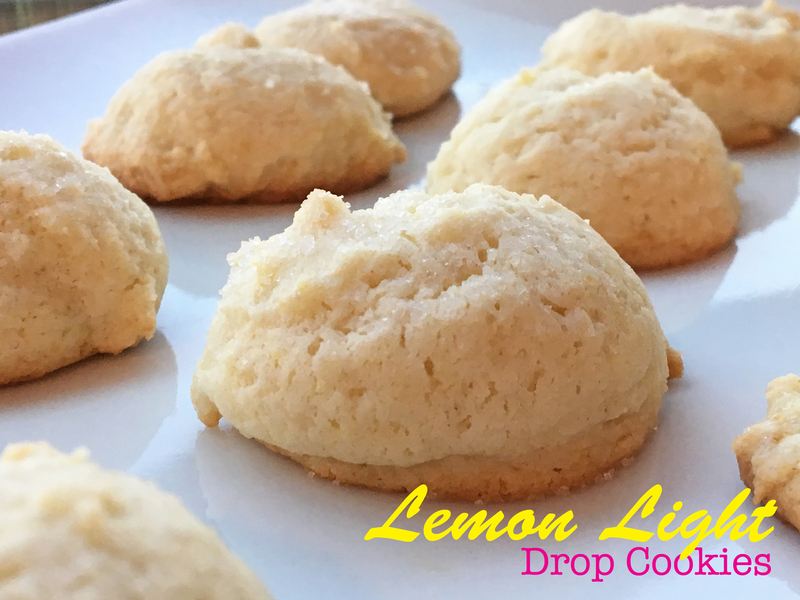 Whether you try this or go the simple “drop” route, I wouldn’t suggest hand-rolling the dough into balls; these lost some of their charm and looked more like mini biscuits than cookies. So drop or cookie press all the way! 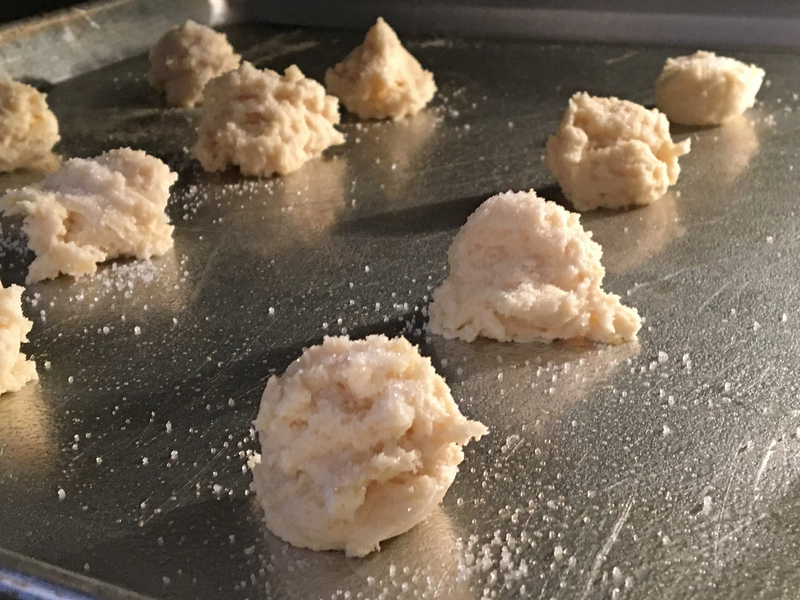 * Note: To get my cookie press to best form the dough, I chilled the dough-filled press in the freezer for a few minutes to stiffen the dough. I clicked the cookies onto an ungreased cookie sheet and voilà! 1. Let’s make the dough! 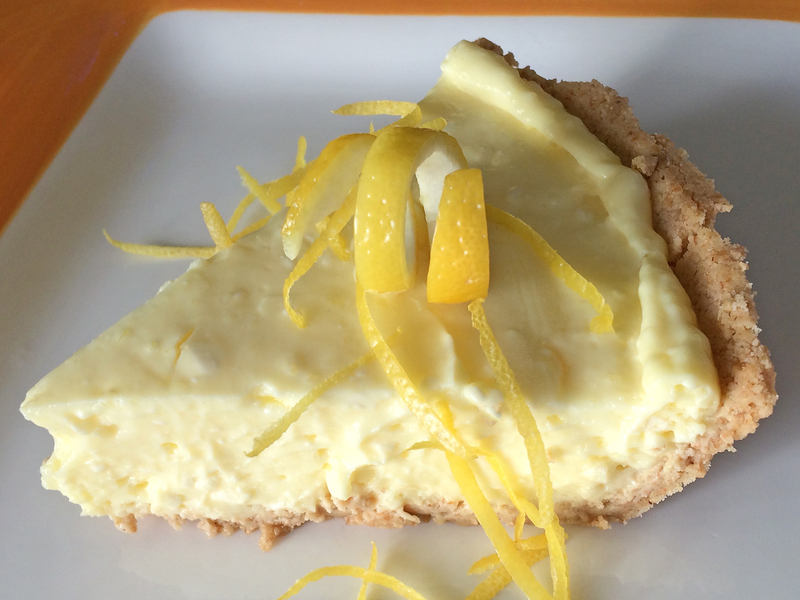 In a large bowl, cream the sugar, shortening, and lemon peel until light and fluffy. Add the eggs and beat well. Add the sour cream (or yogurt) and lemon extract mix well. 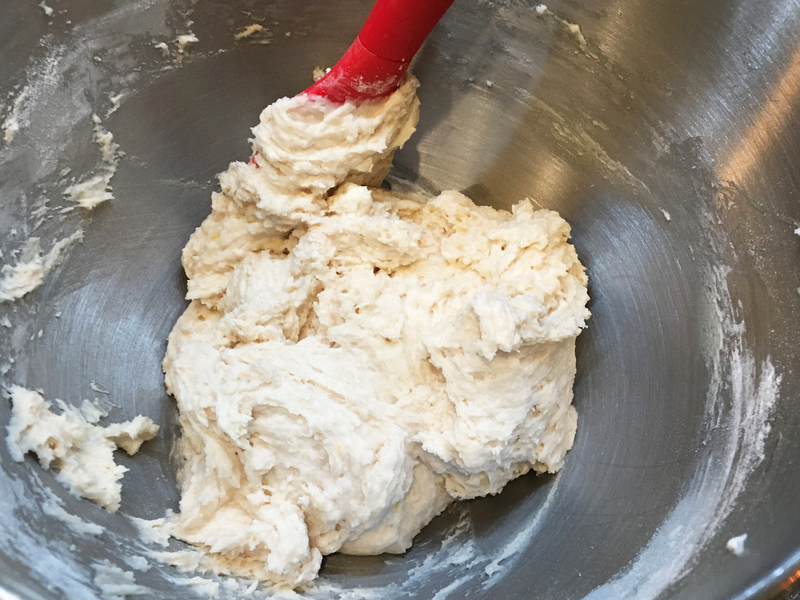 Lightly spoon the flour into a measuring cup; level off. To the batter add the flour, baking powder, baking soda, and salt. Blend well. 2. Drop by rounded teaspoonfuls 2 inches apart on a greased cookie sheet. Sprinkle the cookies with sugar before placing them into the oven. 3. Bake for 10-12 minutes, or until a light golden brown around the edges. Here are some vintage Play-Doh commercials from me to you! I’m not sure of the technical definition for what distinguishes a pie from a cake but I’m pretty sure this would best be referred to as a pie. Oh, well – no matter what we call this it still tastes the same and it’s one of the easiest recipes I can think of. 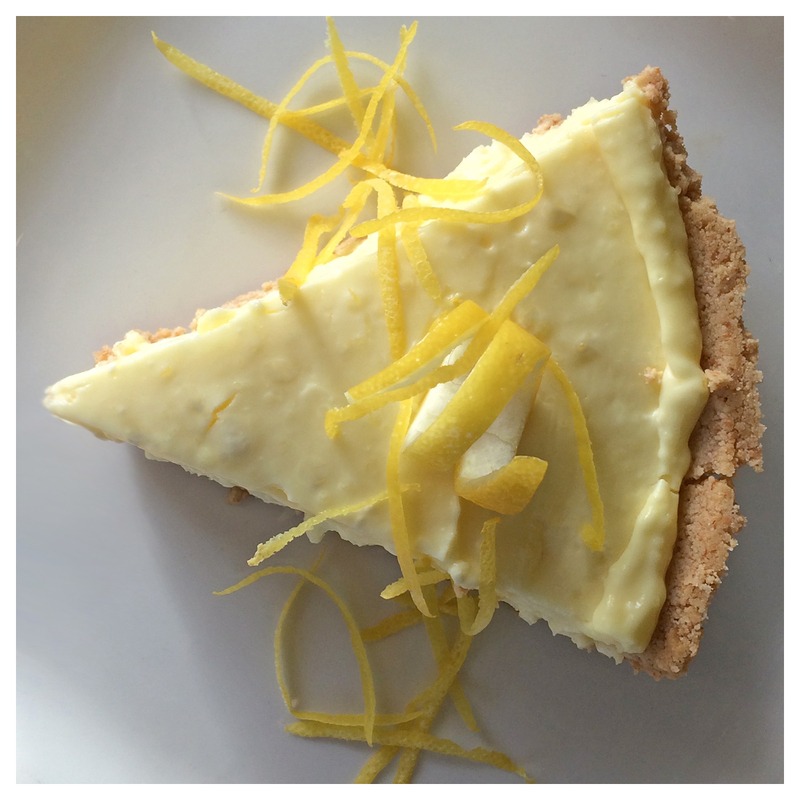 So if you’re in a hurry and you need to produce a cake-pie, I suggest you bookmark this recipe! ❤ Because lemon is a versatile flavor you can garnish your cake with some lemon zest, a few drizzles of some Fischer & Wieser Raspberry Chipotle Sauce or even a few chopped Texas pecans to liven up the party. ❤ If you like easy to make desserts, you should check out more of Mom’s recipes for Blueberry Cheese Pie and Easy Cheese Cake. 0. Soften your cheese. Let your cream cheese sit on the counter for at least 30-45 minutes. I usually open the package to help this process speed-up a bit. If you rush this step your cream cheese may turn out lumpy and nobody likes lumpy cream cheese. :) Please note that I numbered this as step “0” because this step is so easy it really doesn’t deserve a number. 1. Blend things up. In a medium-size bowl blend the cream cheese and the ½ cup of milk. 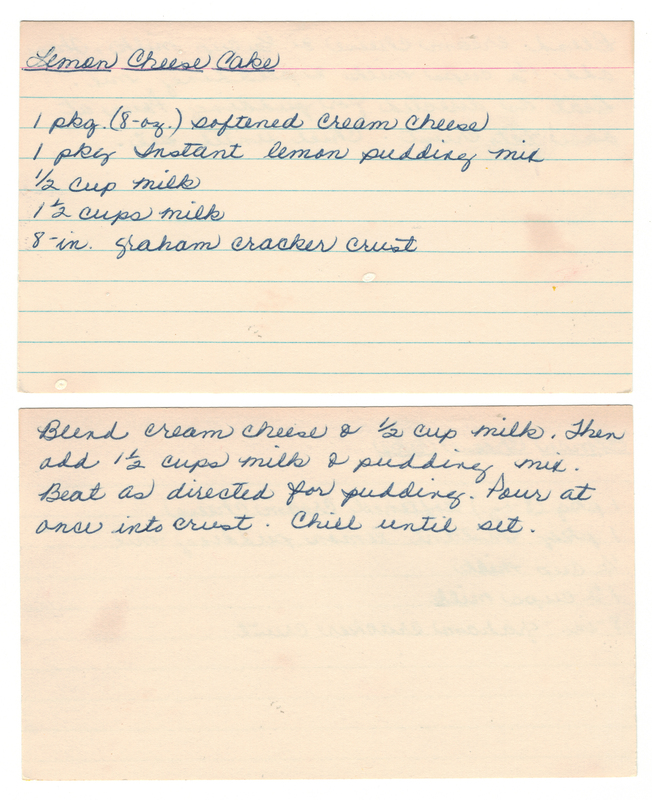 Add 1 ½ cups more milk and the pudding mix and beat as directed according to the pudding mix instructions. 2. Pour it up. Pour the cream cheese mixture into your crust and chill until set.